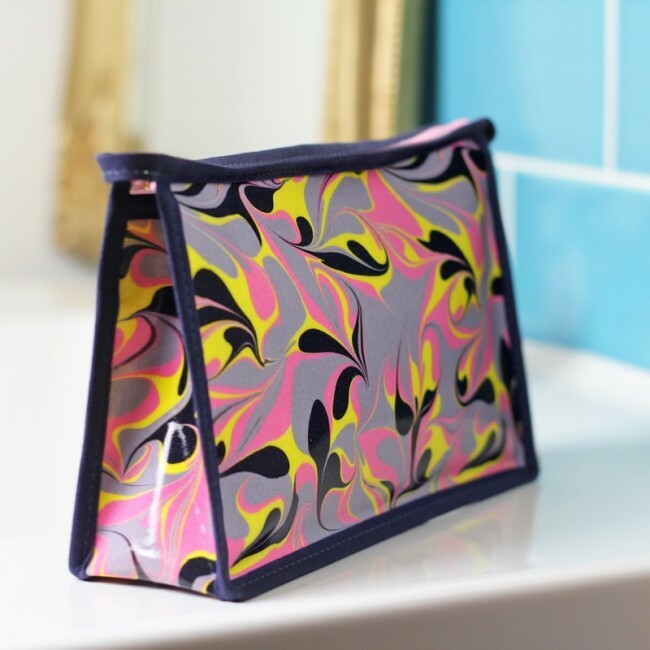 The Amalfi marbled oli cloth wash bag is pink, dark navy, grey and yellow in colours. 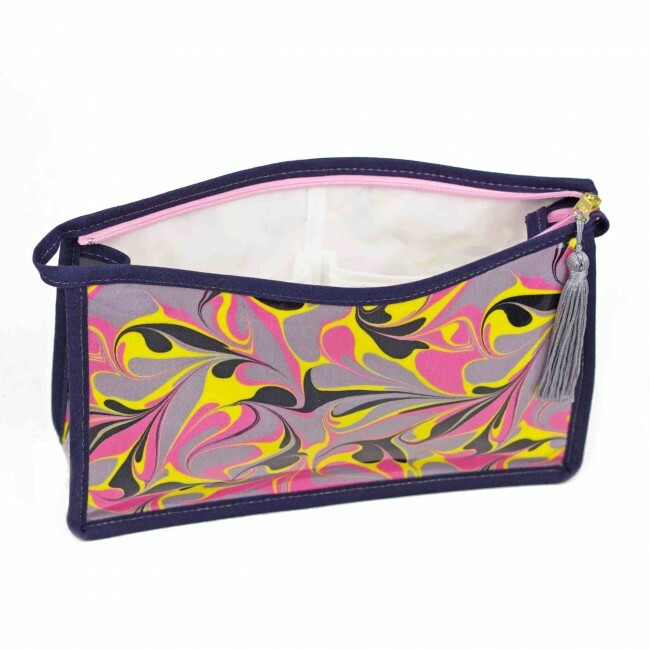 It has navy trim, a pink zip and light grey tassel on the zip. 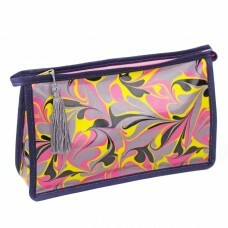 Inside there is white waterproof lining and it has two pockets.